It is a land of wonders. It is a land of mystery. It is a land that time forgot (or chose specifically not to remember). Cut off from the civilized world for untold years by prohibitive interstate tolls at the New Jersey border, this land is called: Delaware. 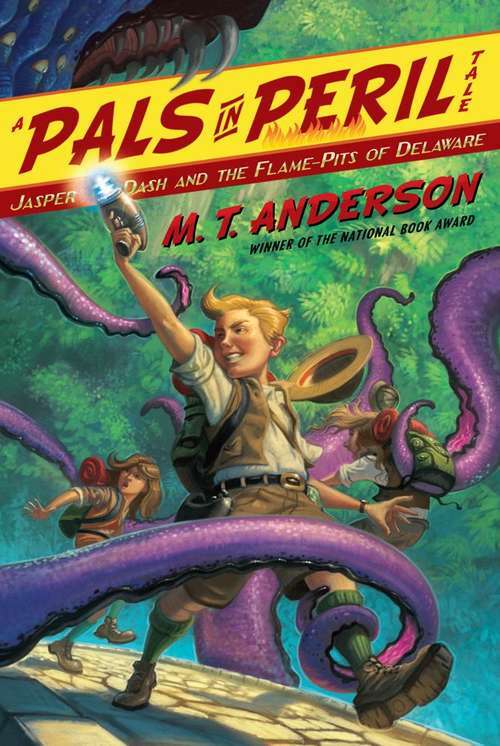 It is into the mist-shrouded heart of this forbidden mountainous realm that our plucky and intrepid heroes, Jasper Dash: Boy Technonaut, and his friends Lily Gefelty and Katie Mulligan, must journey to unravel a terrible mystery in this third weird and wacky installment of M. T. Anderson's Thrilling Tales.